I've been turning my nose up at tiny projectors for years, but my negative opinion of the little things just changed. The Butterfly G2 is billed as a super-bright projector, and it lives up to that ambitious name. Its demo took place in a room that wasn't very dark, and its 720p picture was the contrastiest, brightest and sharpest I've seen in a projector its size. Company reps told me this $220 hotshot will be shipping the middle of this year. 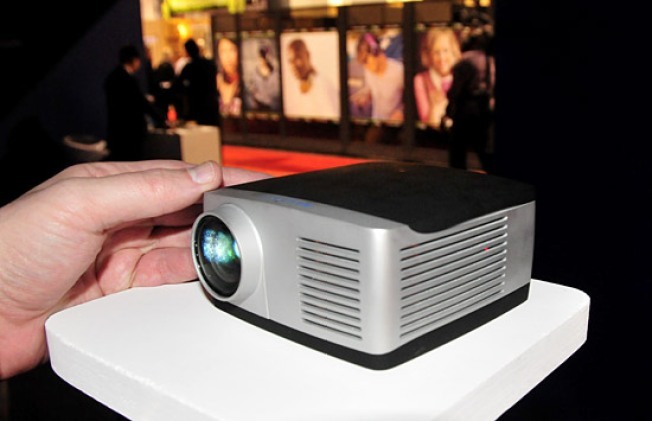 We haven't seen much good-looking video projected by those even-smaller pico projectors yet, but if you can step up to the slightly larger size of this mini-projector, you can enjoy true 720p, projected in all its glory by an unusually small package. Amazing.